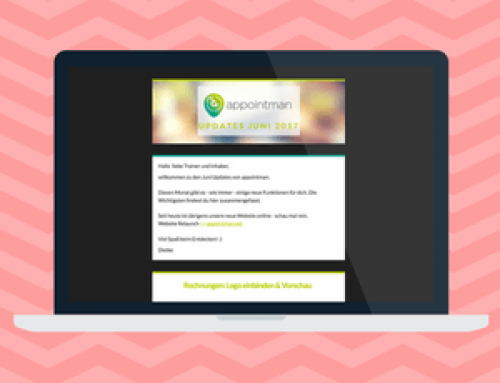 welcome to the April 2017 appointman Product Updates. New members with class pass contracts who don’t have an active pass yet are now clearly visible in the members list. You can see a grey pass icon instead of the black one. Die It is now easier for members with multi-contracts to book via app. They will now be able to choose the desired class date as usual, but after doing so they will directly see both of their contracts and can see the booking limitations for each contract. With one click they will take part in this class. Average number of participants: Shows you the average number of participants in classes for the specified timeframe. Empty Pass Contracts: Shows you pass customers who have only a few or no credits available and might need to buy new class passes. Age and Gender: Shows you how many of your members are female or male depending on the age range. New customers per period: Shows you how many new members you got within the specified timeframe. 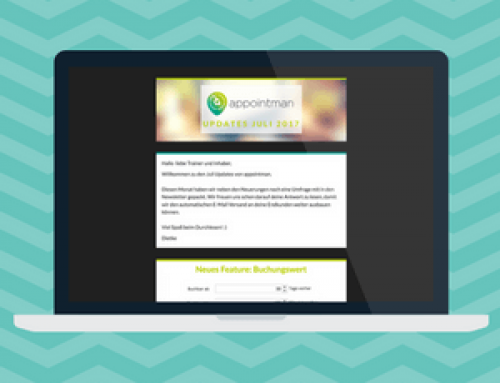 Customers are now able to book classes for different locations with the same contract. However, the locations need to be connected and have the same service provider. In the Shop you will now find an option to hide specific products from the online shop, so that customers cannot directly see it there. You can link directly to those hidden products by using the FastCheckout Link. 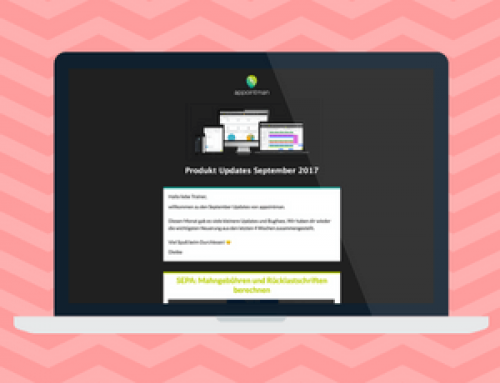 This gives you the option to show the products on an extra page – for example for promotions. As you can see we got a new logo and it seems to show up one by one on different places, like Facebook, Instagram our Login Page or Website. We hope you like it! We appreciate the work our Designer Deniz (dgmediadesign.de) put into it and would like to thank him. In addition to our Support Chat we integrated a link in our support area for you to ask for a callback. As we experienced chat is the easiest and quickest way to help you out, however, in some situations it might be a good idea for you to ask for a callback and explain everything in detail over the phone. Below you can see where to find the support options. Click on “Rückruf vereinbaren” for a callback. We will integrate “Stripe” – this will give your customers the option to pay online directly in your shop with credit card. Payments and Revenue can be seen in the customer overview and also can be managed there. Finalisation and optimisation of our WodMan application – this will give your customers the possibility to track their workouts. 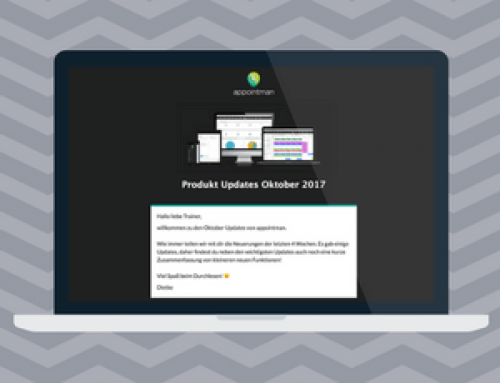 Extended customer overview: This update is almost finished! Before it can go live it needs some fine tuning. We love to hear your ideas! This helps us immensely to improve appointman on a daily basis.